Prof Wout Feitz (WS1 Lead) (NL) and Michelle Battye (Manager) (UK) represented eUROGEN at the ERN CG meeting on 25 June 2018 in Brussels. These meetings are held three times a year, chaired by the European Commission (EC) DG SANTE, alongside the Board of Member States for ERNs (which is comprised of representatives from all EU Member States’ health ministries or government departments, and which oversees the governance of the ERNs). Prof Maurizio Scarpa (IT) was thanked by all for all his work for the last year as Chair of the ERN CG and Prof. Franz Schaefer (ERN ERKNet) (DE) was welcomed as the new Chair. 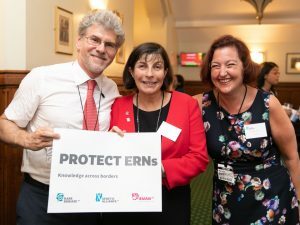 A major issue was planning for UK withdrawal from the EU and the implications this might have, in particular for UK Coordinators and the 114 NHS Trusts involved in ERNs, who deal with an estimated 200,000 patients with rare diseases or complex conditions. The UK ERN Coordinators were asked by the EC to begin plans for switching the coordination function to another health care provider (HCP) within their network in an EU Member State. Before the application in 2017, eUROGEN has planned for “Brexit” and fortunately, Wout Feitz (NL) is ready to take up the challenge at Radboudumc when it becomes necessary to switch Coordinator from Sheffield Teaching Hospitals NHS Foundation Trust (UK). Unfortunately, the timing cannot be predicted because of the political uncertainties around Brexit. However, it is business as usual for the UK-Coordinated ERNs and we remain committed to working enthusiastically with colleagues nationally, in our ERN, and in the EC, to identify solutions that will enable UK NHS Trusts and their patients to continue to be part of the ERN process in a post-Brexit scenario. We will continue to inform you of developments via the newsletter. The ERN CG has seven Working Groups, each chaired by a Coordinator, which deal with issues of a transversal nature. The Working Group on Conflict of Interest presented their near-final report. A major issue is that the Board of Member States for ERNs regards ERN collaboration with industry as a risk, whilst the ERN Coordinators regard this as a rather outdated view. 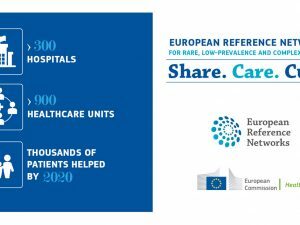 Many Coordinators and their HCPs have considerable experience of collaborating with industry in the correct way and see it as vital both to the sustainability of the ERNs and to identify innovative treatments for patients with rare diseases. Prof Chris Chapple is the current Chair of the Working Group on Monitoring and Assessing the Performance of the ERNs. The Working Groups of the ERN CG and the Board of Member States for ERNs have merged and the two groups now work collectively on the monitoring process. We have now agreed on a set of 18 core indicators applicable to all ERNs. However, further work will need to be done at individual ERN level as all ERNs need to identify key performance indicators specific to their ERN in the next phase of this work. This is why it is so important please for all our lead clinicians to work with their health care providers to return data on numbers of patients broken down by disease area (a reminder, if you have not already done so, to complete and return the spreadsheet sent to you back to Jen Tidman). ERN Pedcan asked for volunteers from other ERNs to join the IT Advisory Group, if interested, which will be on an ad hoc basis and rotated to give all ERNs a chance to participate. The EC confirmed that four additional places were manageable. 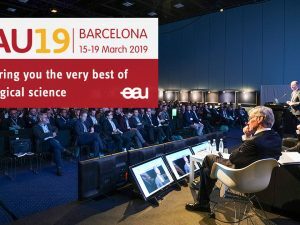 eUROGEN has formally requested to be considered for one of these places because we are active users of the Clinical Patient Management System (CPMS) and therefore have a contribution to make. Finally, the EC have set up a new Advisory Group of ERN Coordinators or their representatives. They are planning a large publicity campaign to raise awareness of the ERNs and how they can benefit patients. They are looking for stories from patients (or carers of patients) whose case has been discussed on CPMS. Michelle has been accepted for a place on this group, as eUROGEN are keen to raise the visibility of urogenital conditions and do more to remove any stigma associated with these for our patients and the public. If you have a patient or their carer(s) who might be prepared to discuss their case, then please contact Michelle Battye before you approach the patient please, as there are major data protection issues about how we should do this. Michelle can advise on the correct process.